Under-privileged teens will get real-world marketing experience advertising a Ubisoft game. Breaking into a creative industry, like games, can be tough under normal circumstances, but what do you do if your background - educational, financial, or otherwise - is making things even more difficult? A new initiative called Commercial Break aims to address that very question by helping under-privileged youths get into advertising, and international publishing heavyweight Ubisoft is the initiative's first client. Speaking about the new partnership, Head of Brand Marketing Mark Slaughter stated that Ubisoft is "committed to making a contribution to helping young, creative individuals get onto a career path that makes use of their talent." 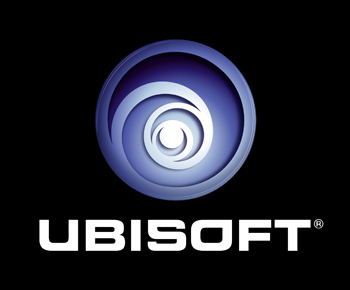 The aim of the partnership is to create an ad campaign for one of Ubisoft's upcoming games. To this end, the company selected eight would-be marketers, aged 18 to 19, out of 30 applicants in the London area. The teens are a good fit for Ubisoft, according to Slaughter, who said that "the participants will bring a fresh perspective, especially as many of them form part of our target audience and will be on the same wavelength as the consumers we are trying to reach." James Hillhouse, co-founder of Commercial Break, agreed that the partnership worked well because "videogames are at the heart of creative entertainment for young people." As for the participants, "they can't wait to get started." Ubisoft did not specify which game the ad campaign would be for, but it will be a launch campaign during the fall. That covers the launch of Assassin's Creed III, but that's certainly not the only title Ubisoft is publishing this fall - others include Just Dance 4 and Marvel Avengers: Battle for Earth. Either way, Commercial Break will help the participants find paid internships based on their new-found experience after the project is complete.